This is post 3 of 3 in my Prof(ILL)es Series. If you are interested in learning more about why I’m doing this, check out my introduction piece. Click here if you missed last week’s Prof(ILL)e with Paul Ceneac. 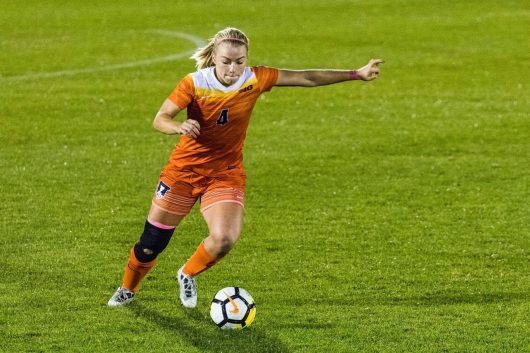 These days, Sarah is able to reflect as a senior class captain on the time and effort she’s dedicated to both the team and this university. Not only has Sarah been able to build important bonds, but develop important skills like leadership and time management through the sport. Sarah remains extremely involved on campus outside of soccer, too. 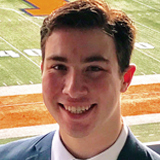 Sarah is a part of multiple engineering honors societies, vice president for the Illinois Sports Business Conference, a research assistant on campus, and spends many hours on community service and philanthropy. With such a diverse and challenging schedule, Sarah’s insights on time management can be valuable to any college student. Since her freshman year, Sarah learned to utilize the time management resources available in order to allow her to do more meaningful work. In addition, through this more meticulous organizing, she’s been able to find more time to develop meaningful relationships with her friends. An aside: one of the key takeaways I’ve noticed through this series is the importance of finding meaningful personal time and time with friends. It’s been the one thing that’s been universal so far. 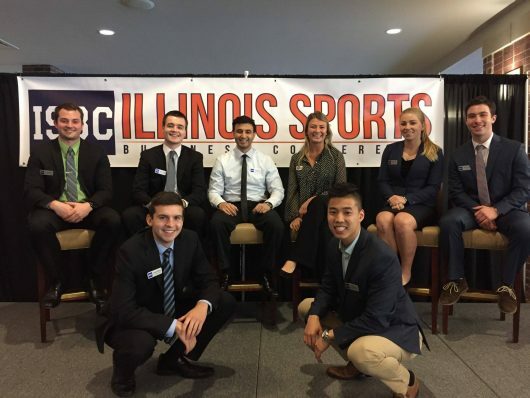 Professionally, Sarah cites her work with the Illinois Sports Business Conference as a major influence, as it gives her access to those in the field she’s interested in. She’s passionate about remaining in athletics as a professional, particularly on the medical side getting involved in orthopedics. For Sarah, changing the outlook of someone’s career is sometimes akin to changing someone’s life. She would know, because look at what sports has given her. Finally, it should come as no surprise that Sarah’s biggest piece of advice to students is to remain involved. It’s incredibly important to put yourself out there and get ready to make mistakes. To any aspiring student-athlete or busy person in general, Sarah serves as a model for balance and focus at the collegiate level. Talk soon.